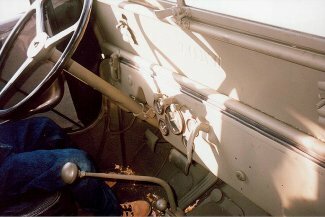 Todd Brooks has a 1947 CJ2A in olive drab. His kids seem to like it! "The title shows 1948 but, the serial number says she’s a '47. I am not sure how many owners the jeep has had. When I get some spare time, I might look into it. It has been in the south I think, due to the good condition I found it in. 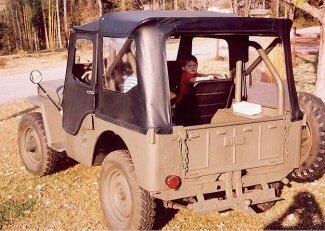 I bought the Willys for my boys and me to have fun in and to take hunting. She runs great! Since I got her (knock on wood) all I have had to do is replace solenoid and the muffler. The brakes need a little adjusting, I’m working on them now. In a year or so I think, I’ll strip her down to the ground and rebuild her."